Have you ever though of using stencils? If, like me you live in a old Victorian flat, it is likely that stencils would have been used to decorate your home when first built. 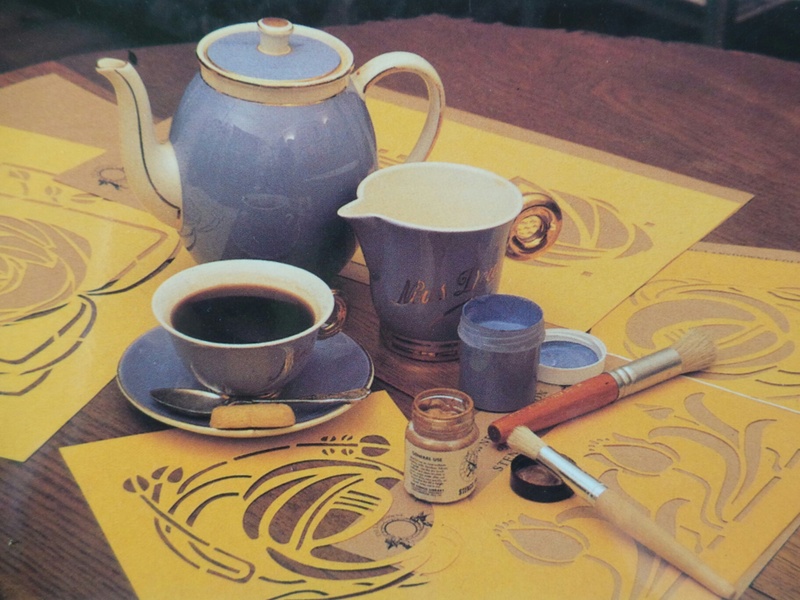 Stencils offer a way of reproducing a pattern to a wall or some fabric without having to be an artist. Architects and decorators used those a great deal with decorating interiors from the 1800 onwards. When i was a student at the “Christies decorative art diploma” i was able to study a few Victorian buildings being refurbished in Glasgow, including the beautiful Casa d’Italian and to find beautiful stencils under layers and layers of wall paper. 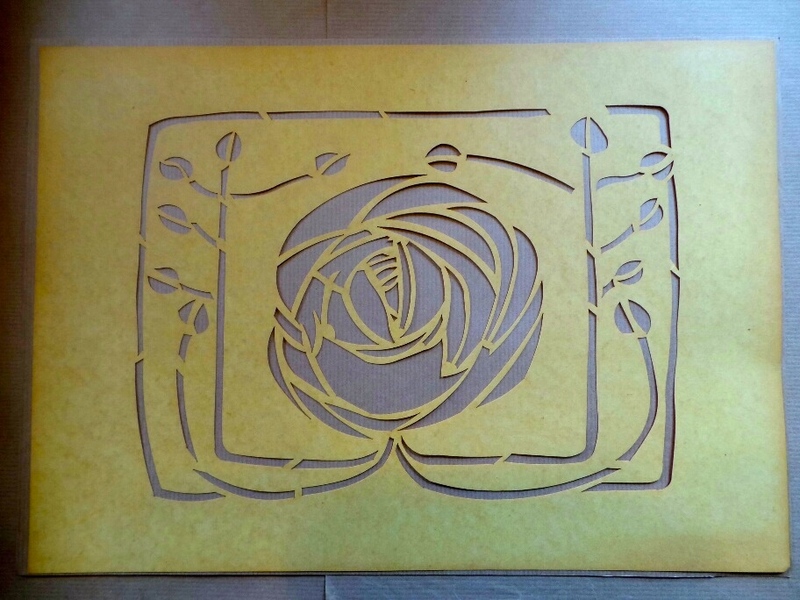 But its the Artist/architect Charles Mackintosh and his famous “Glasgow rose” which made me fall in love with stencils and it is his designs that inspired me to put together a range of card stencils for all to use in decorative projects. The Lansdowne House is my design studio in the West end of Glasgow. I have created and produced a collection of hand cut stencils. They are all made of oiled manilla card which is very close to the original material used during Victorian times. As one of the commissions I undertook in the mid 90’s I was lucky to take part in the recreation of The House for a Art Lover in Glasgow. 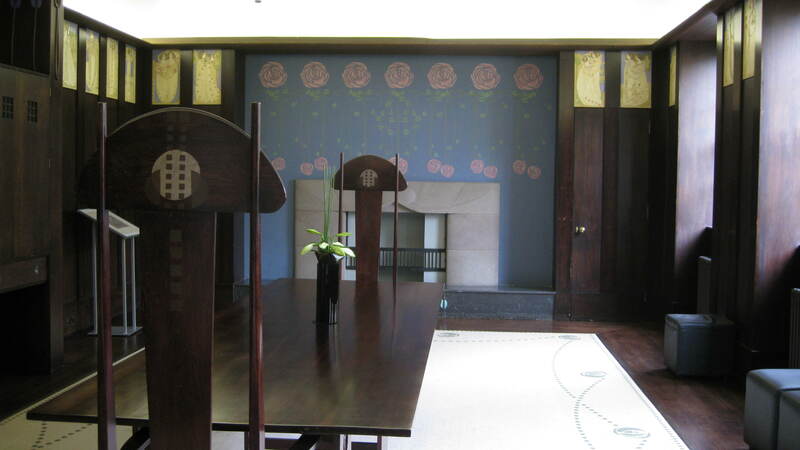 The design for a home for an art lover that Charles Mackintosh had produced for a German Art magazine of the turn of the century had never been built until 1990. Glasgow being European capital of culture was a catalyst for the design to be built in one of the city’s park. Private and public funds were put together and the whole project went to tender. I was lucky enough to win the tender for stencilling the interiors and spent month recreating the design and stencilling the building site for the opening during the festival. The property today is run by The Glasgow School of Art and houses a visitor’s center, a cafe, a shop, but is an active part of the School of Art and can be visited. I am so proud to see there my work being admired by many visitors as if Mackintosh designed the building, the interiors’ designs were so basic that the stencils are very much mine. (www.houseforanartlover.co.uk).